Weight (Pounds) 2 lbs. 12 oz. 2 lbs. 14 oz. Baptized by fire, the Leopard series packs were really put to the test by gear testers extraordinaire Justin “Trauma” Lichter and Shawn “Pepper” Forry in their epic trek through the Himalayas. The Leopard VC 46 packs feature our ultra-light Vapor Current suspension system. Compatible with our weight saving Vapor Current Air-Beam frame, the Leopard VC 46 is at home both as a minimalist backpacks or a fast-and-light alpine pack. I did a 10 day trip on the northern part of the long trail, 122 miles this past July. Last year I used the Leopard 58, but wanted to pare down for the northern part, the 46 was the natural choice i felt because the 58 worked brilliantly. First off I prefer water bottles to hydration bladders and the side pockets fit 1 liter bottles perfectly with easy access. I removed the lid, and installed the AIrbeam to shave as much weight as I could. As mentioned in the other review, the nozzle for the Airbag is awkward to stow, but you'll figure it out. I carried out my summer hammock load with no real luxuries, not even camp shoes. I kept my weight to 21 pounds with 3.5-4 days worth of food and that included 2 liters of water. The walking. Anyone who's done the northern part of the LT knows that there are lots of tricky and arduous ups and downs., and if its raining its a whole other story. The Leopard's slim profile and low height helped me slide down the rocks and bash through the branches all the way. While this pack isn't UL, it makes up for it in no nonsense comfort and durability. And without the lid and with the Airbag installed, its pretty damn light. This is my go to 3 season pack now. Now if they'd just make a 34-38 liter i'd be in heaven. 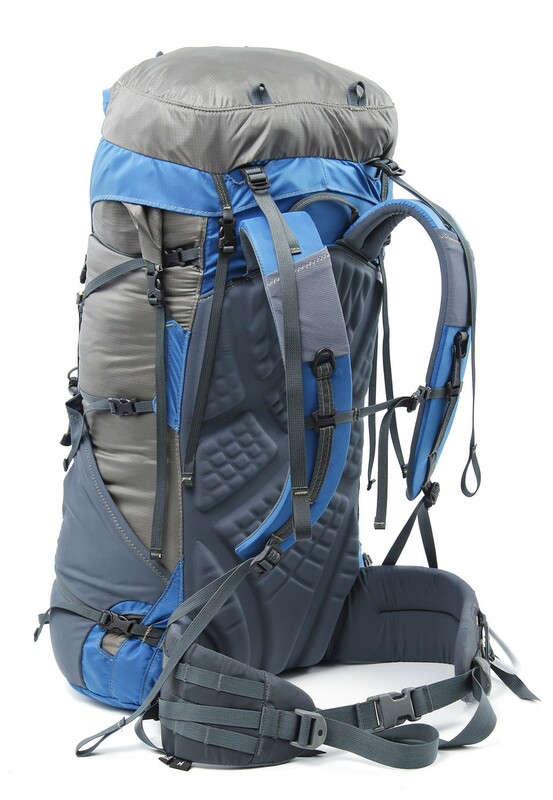 I've been looking at this pack online for a couple of months; trying to sort my needs and space on what I could use for an all around pack with specific features; stretchy exterior pockets, beaver tail, compression straps. It was time I upgraded. The Air Beam Frame and the lid concept, I liked, and looked for all the reviews that I could by actual users (not many at this time). It boiled down to the 58 AC or 46 VC. With my current packing set up even through winter here and Tetris mastery I pretty much settled on the 46. So, I scored a deal and got the 46 in Slate/Blue with the Air Beam frame. I'm right on the edge of the regular and long torso (20") I opted for the regular. I'm 6'2" with 32 waist. Initial impressions were mostly regarded to weight and features, "Dang, this is light!" to "Hey, look at this!". I stuffed this pack to the top with gear and realized that the roll top gives plenty more room should I need it. The 2800 cu. in. advertised just bumped up a few hundred more. Yes! I took this pack out for the first time on a 12 miler overnighter in the Cohuttas (NWGA) with my brother, an early Summer trip with about 23# in it. Both of us hammock campers, trail shredders and every day goof balls. And, boy, let me tell you, we love them woods! So, with the plot laid out. Here are more user based impressions with your pack. I'm still learning the intricacies of the Air Beam. It's a tight fit in the sleeve with the nozzle poking about and is prone to folding if inflated too much. I would likely cut a hole in the sleeve so that the nozzle can fit through without folding up. It may even give a chance for adjustments on the go. Filling and deflating can make the ride more or less comfortable, so the bag practically molds to your spine. I gave it 65 pumps from the first opening. The back padding is comfortable as well, a little hard but feels well when it sits in place. With stride going, I found that I can easily pull my water bottles out and adjust the lower compression strap and put it all back with missing a step. This access was a dream coming to fruition. Nice...only nit-pick...The seam on the upper, opening of the side pockets seems to not stretch back. I'm not sure if this is natural yet. But there was no fear of anything falling out so, I give this a pass. The back panel stretchy pocket held a few goods but mostly kept my C.R.A.P. Kit handy when needed. You know, we all wished it was in a more convenient place a time or two. Little pockets on the shoulder straps sit high and aren't exactly easy to get into. lighter in one, compass in other. "No hipbelt pockets?" this was my brothers concern, but i think he was searching hard to find something he didn't like about this. I explained the accessories to his satisfaction and won him over on it. I'll eventually get a pouch, but it's not something that I wanted to have right away. The beaver tail has some nice qualities to it as well, used as additional storage, lashing points and compression. The two pockets here were used for med bag, stakes and poncho. There could also be potential for interior panel access underneath this as the bag is only a top-loader. But that's just me trying to reinvent the wheel. I'm growing fond of the lid. My brother didn't have a single issue getting in or out of it while we were rolling. Laying flat on the ground kept the pocket on top. When the bag hangs empty, the lid drops forward and the access falls away at this point. There is another pocket on the inside for securities if need be. However, I would still like for a zipper on my head side in case he or anyone else isn't around. I picture this to be a reversible lid just as it is floating. The attachment points could couple together and I could turn it around on a whim. I went ahead and attached shock cord to the loops to keep my Doggers in...(mock-Crocs that don't slip off, I call them Nate-Doggers) Works like a charm. Getting inside the pack takes unleashing, SIX buckles and unrolling but I never doubted the grandeur this pack would unleash as we cruised the trails from steep inclines and bushwhacking through a few fallen timber. It was almost as if the pack went weightless on my back. It tucks in so well, I couldn't believe it. Comfort rules all on this pack. I feel that it's a well thought out pack and design. The weight and features it provides have exceeded my expectations. Thank you for a great product and for making it all the way down this little story. Vapor Current (V.C.) 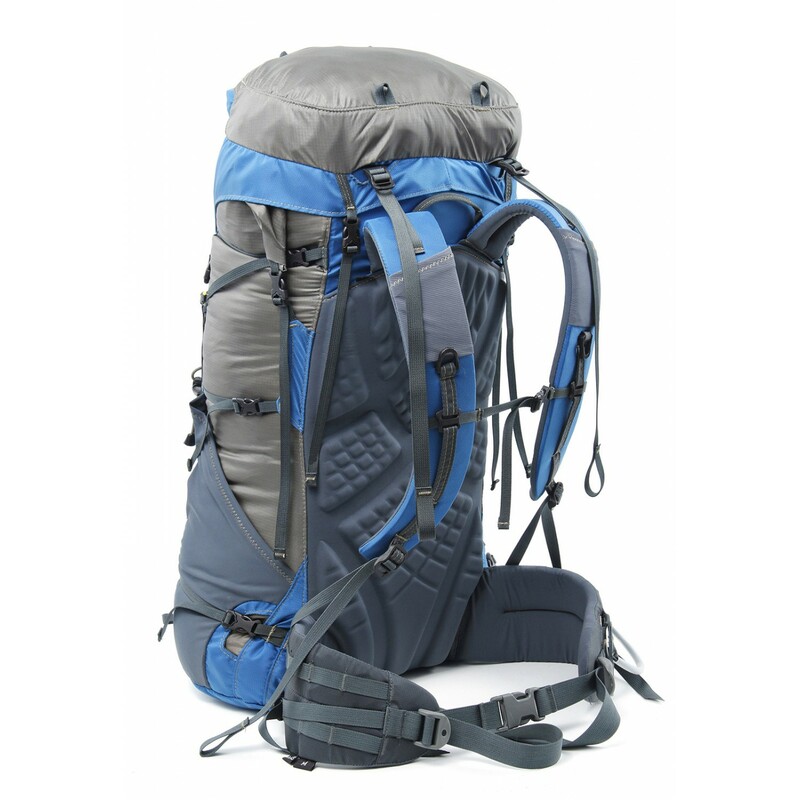 packs come with fixed shoulder straps that are not adjustable. Use the sizing info below to determine your hip-belt size.